As exaggerated (slightly) on television, attorneys often find themselves in drama filled courtroom appearances and amidst aggressive motion practice duels. However, in addition to guiding a client through litigation, one of an attorney’s most important job responsibilities is advising a client on whether to initiate a lawsuit in the first place. Litigation is not cheap. It’s not efficient. It’s stressful, time-consuming, and will disrupt your life. Despite the ease with which one can file a lawsuit, one must be very well informed about his or her respective position before making that committing leap. This principal is readily apparent in a timber trespass and property boundary lawsuit recently by firm founder Mark D. Kimball and associate attorney Dennis Kasimov. MDK Law litigated the case to a complete victory (including a judgment for attorneys’ fees and costs) on behalf of its client. 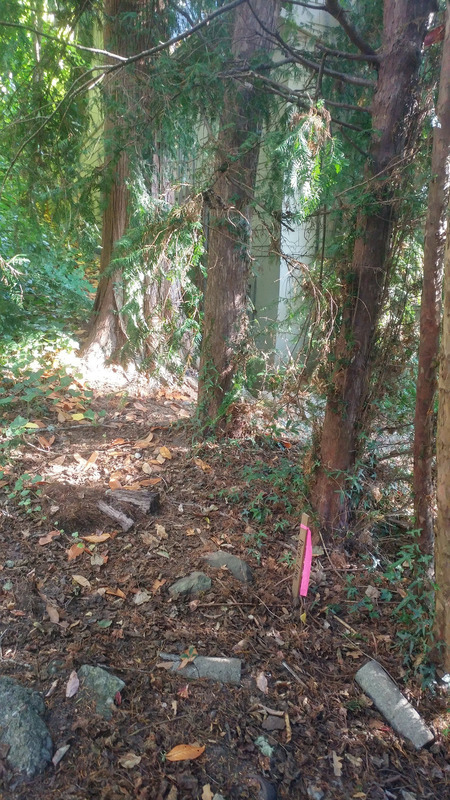 Our client, a land surveyor, was brought in as a Third-Party Defendant to a lawsuit involving a dispute between two neighbors over a number of trees that were cut on the boundary between their properties. It was claimed that the trees were cut in reliance on our client’s boundary survey and thus he should be responsible for any damages resulting from one of the neighbors cutting the trees. Importantly, our client’s survey did not place the trees fully on either lot. Therefore, neither set of neighbors owned the trees entirely, and decisions about them should have been made in consultation with the other neighbor. Even more dispositive was the fact that the surveyor retained to present a competing survey in opposition to our client’s survey arrived at the same conclusion during the deposition taken by Mark. The other side’s expert supported the conclusions of our client, and the survey drawings were indisputable. So, what we had was our client being sued for damages when his boundary survey placed the subject trees on the boundary line between the two properties. And we had a competing expert corroborating this fact. The judge dismissed all claims against our client cleanly upon summary judgment sparing our client the costly expense of going to trial. What’s more, the judge granted our client all of his attorneys’ fees and costs. The opposing party sought reconsideration of the attorneys’ fees judgment, but MDK Law prevailed again and the court then added our additional fees for litigating the motion for reconsideration and costs for a late-received expert witness deposition invoice. Two simple lessons can be learned from this case: (1) be aware of the viability of your claim before filing it; and (2) in our legal system, success is equally measured by knowing when to change strategies. Seek an attorney who fully informs about the possible risks and not just the potential win. You want aggressive counsel, but also one who can be aggressive with a viable claim. The MDK Law team has the experience and foresight to evaluate the merits of a claim before it is tested in the courts. We will not hesitate to advise a client to settle avoid filing a lawsuit when it is in their best interest. MDK Law has been handling real property and boundary disputes for over three decades. Do not hesitate to contact our office for a consultation.